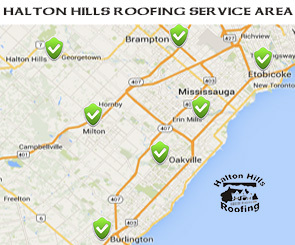 Why Halton Hills Roofing ? Since 2005 we have seen 100% growth year after year with work crews rising to over 25 extremely skilled installers. We do exceptional shingle installations and roof repair and we do it for a reasonable price. Get your free estimate for a limited time. We will upgrade you from our 25 year guaranteed shingles to our superior 50 year guaranteed architectural shingles absolutely free! Make your home look great and increase its value. Save time with a free, no-obligation quote. Tell us the details of your project and we’ll respond with an accurate quote and timeline for the work. Please let us know any details of our roof !